Curbicia lightness regulating shampoo eliminates excess oil with Curbicia extract, commonly known as squash seed, a powerful regulator of sebum production. 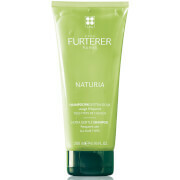 Hair is left feeling light and radiant and with regular use, this shampoo reduces the necessity of frequent washes. 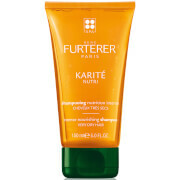 International Customers - Rene Furterer products cannot be shipped outside the U.S. Apply to wet hair and massage into scalp and hair before rinsing thoroughly. For best results, use with Complexe 5. Water (Aqua), Sodium Laureth Sulfate, Sodium Cocoamphoacetate, Cocamide Mipa, Glycol Palmitate, Glycol Stearate, Cetearyl Alcohol, Limonene, Citrus Aurantium Dulcis (Orange) Oil (Citrus Aurantium Dulcis Oil), Coco-Glucoside, Citric Acid, Camphor, Chromium Oxide Greens (CI 77288), Cucurbita Pepo (Pumpkin) Seed Oil (Cucurbita Pepo Seed Oil), Eugenia Caryophyllus (Clove) Flower Oil (Eugenia Caryophyllus Oil), Eugenol, Iron Oxides (CI 77499), Methylisothiazolinone, Polyquaternium-22, Rosmarinus Officinalis (Rosemary) Leaf Oil (Rosmarinus Officinalis Oil), Sodium Cetearyl Sulfate, Sodium Lauryl Sulfate, Thymus Vulgaris (Thyme) Oil (Thymus Vulgaris), Thymus Zygis Oil.